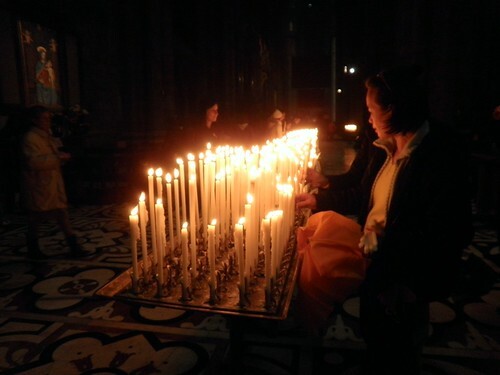 My mother will be thrilled that I accidentally attended mass on All Saints’ Day when I wandered into Milan’s Duomo. The service was beautiful, with all its singing and incense burning and candle lighting. 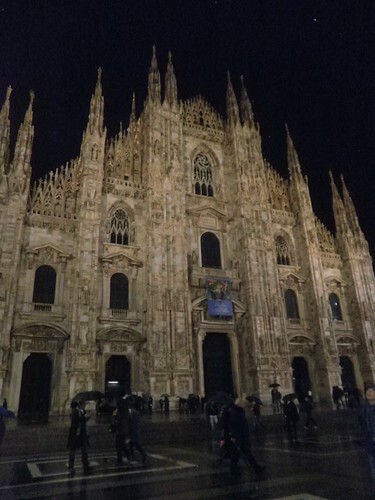 The Duomo is a must-see in Milan, and unlike Florence’s main cathedral, it’s free and there’s no line to get in. It is, in fact, a national holiday in Italy. The Duomo on a rainy night.